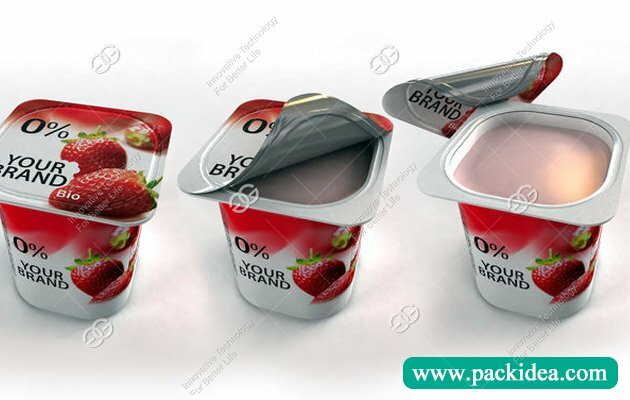 Application: Used for filling and sealing yogurt cup, milk, soybean milk, jelly, etc. 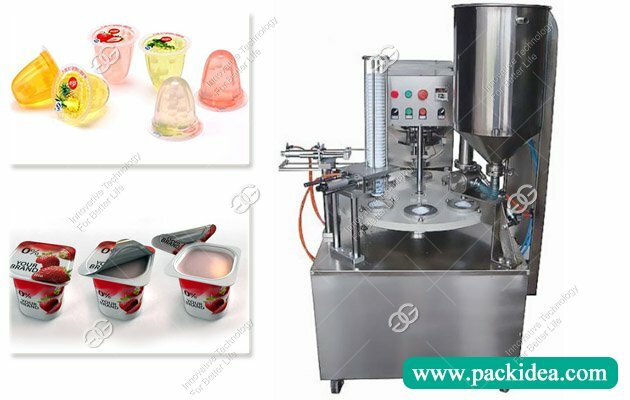 This raotary yogurt cup filling sealing machine is applicable to the product of various specifications of open cover aluminum foil, applicable to the pharmaceutical, medicine, spices, detergent, milk, beverage, food, chemical products such as seal, anti-counterfeiting effect. The machine has reasonable design, reliable performance, convenient operation, high production efficiency, small area, light weight, low noise and small consumption. 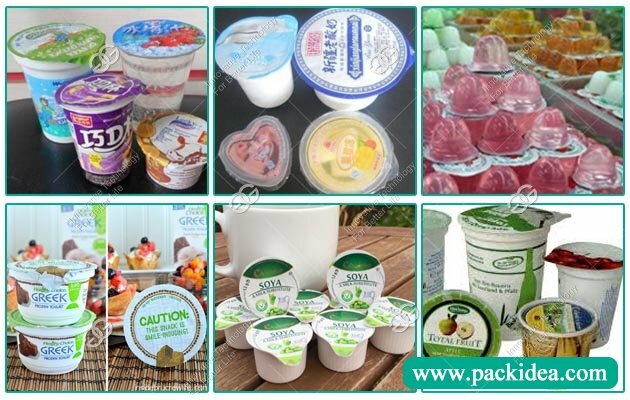 Pudding, jelly, coffee, fruit juice, cup yogurt, milk, cheese, ice cream, jelly, all kinds of packing food, chemical raw materials. 1. Complete functions of the small automatic models, small footprint. 2. 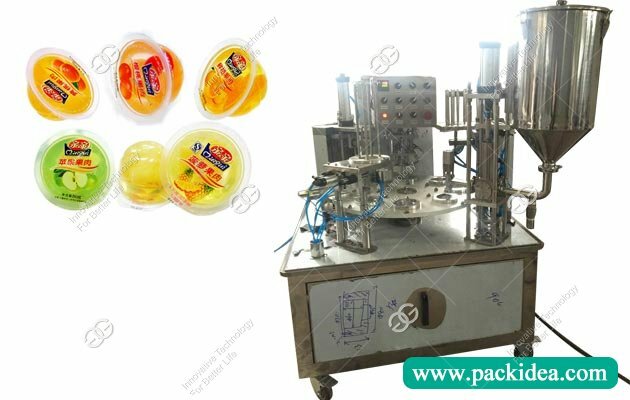 Folling cup -- filling -- correct sealing film location -- printing - seal & lid cutting to finished products discharging operation. 3. Traditional operation panel, simple and easy to understand. 4. The sealing mode of independent temperature control feedback control. 5. Magic eye automatic tracking correction sealing position, film printing registration precision. 6. The whole machine made of stainless steel and aluminium alloy solid smooth, never rust. 7. Precise quantitative filling, storage VAT level control automatic feeding. Automatic CIP cleaning tank and filling line.